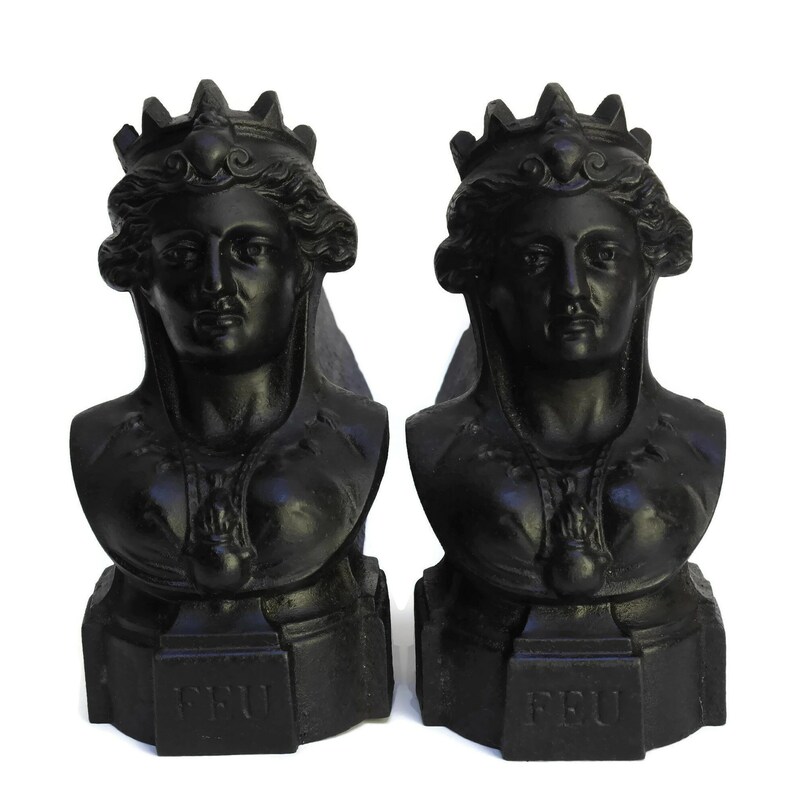 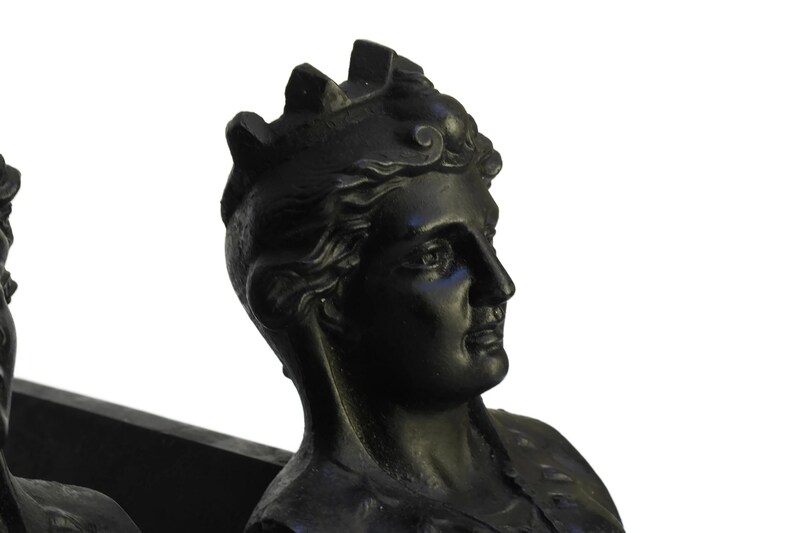 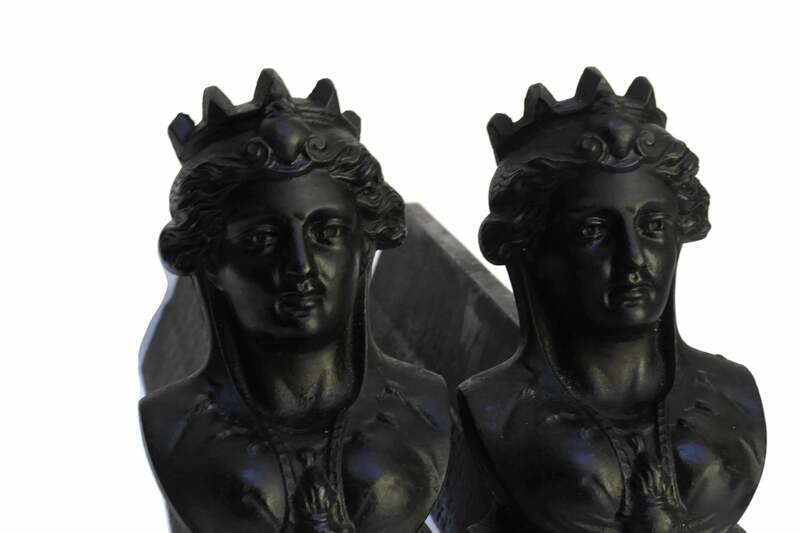 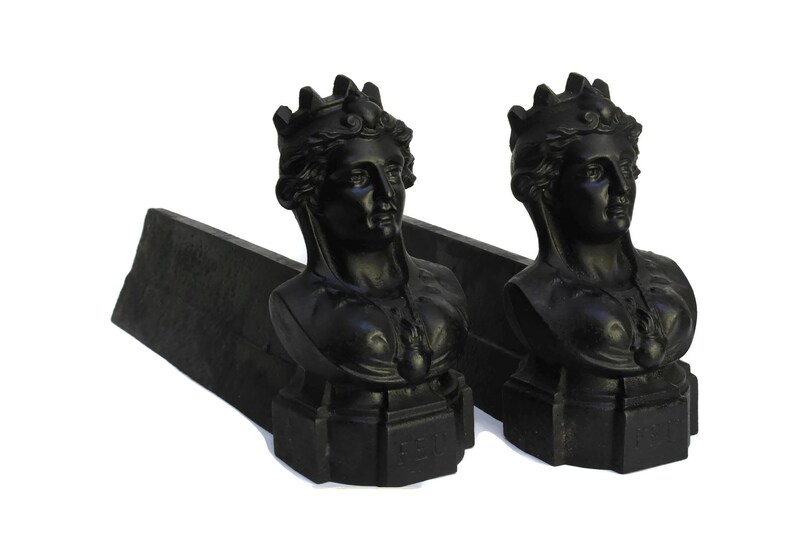 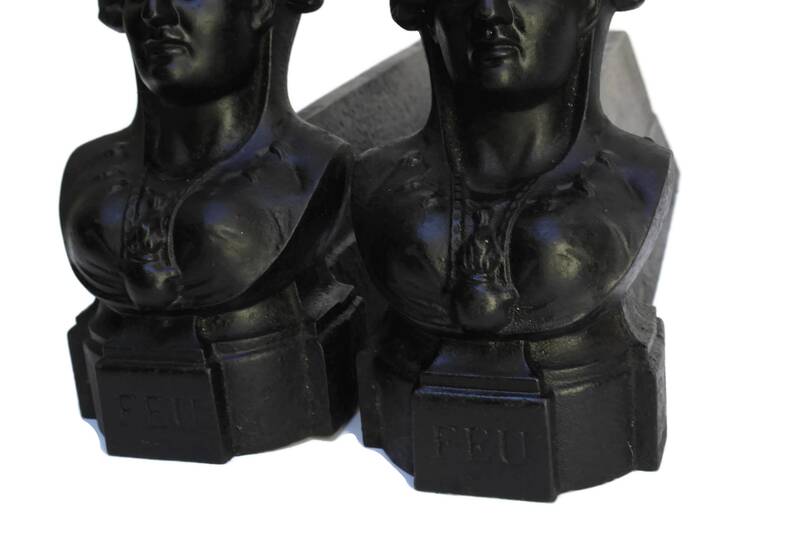 A magnificent pair of antique French andirons with Queen portrait busts. 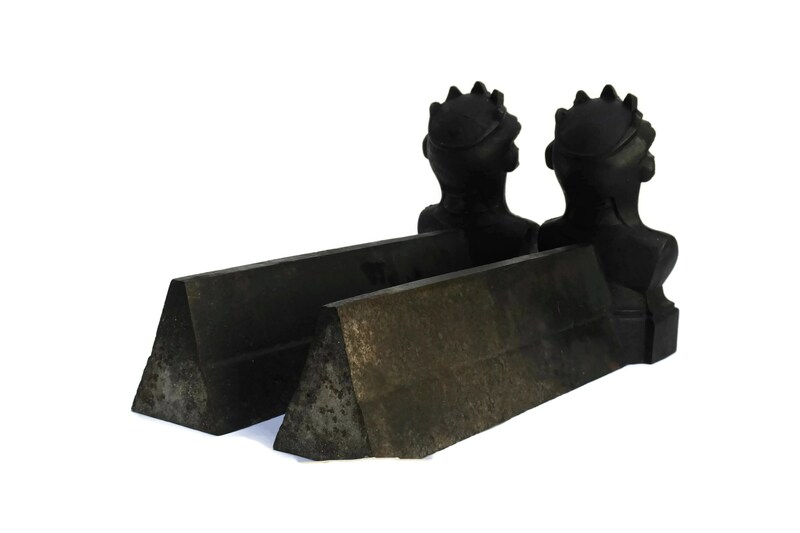 They date to the early 1900's and have been manufactured from cast iron. 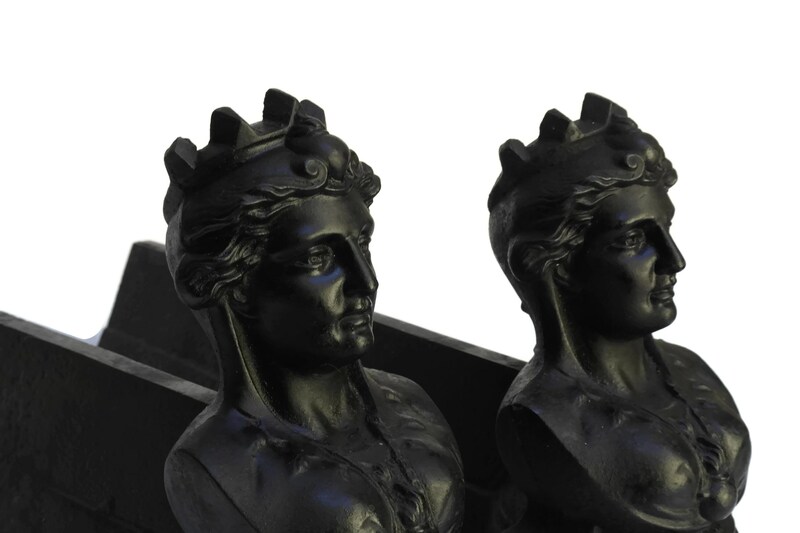 Each of the woman figures wears a crown and flaming heart brooch. 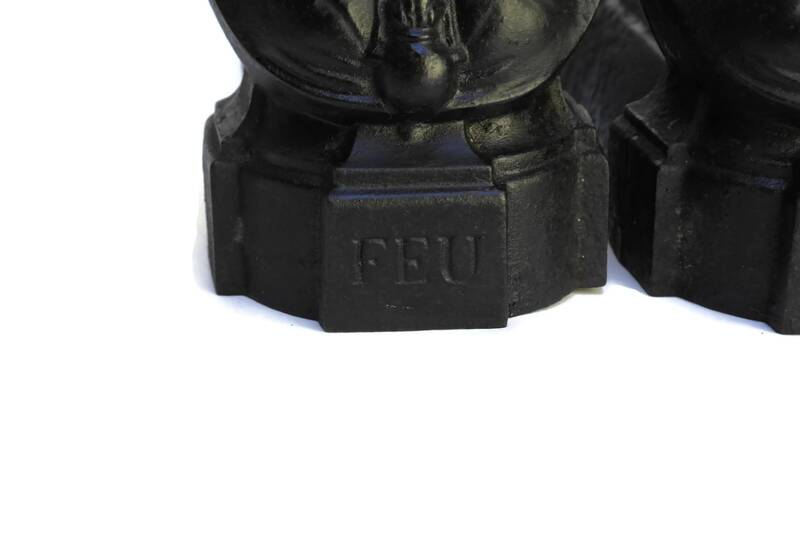 The bases feature the French word for fire "FEU". 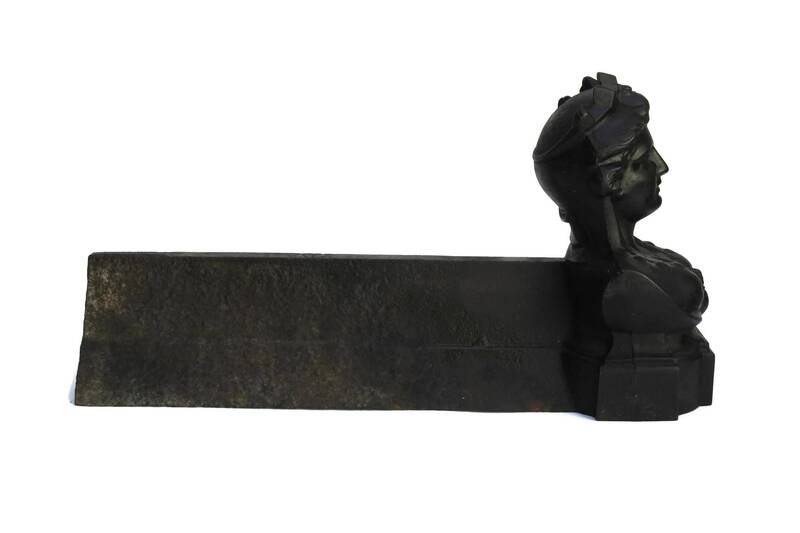 (20 cm x 38 cm x 10 cm). 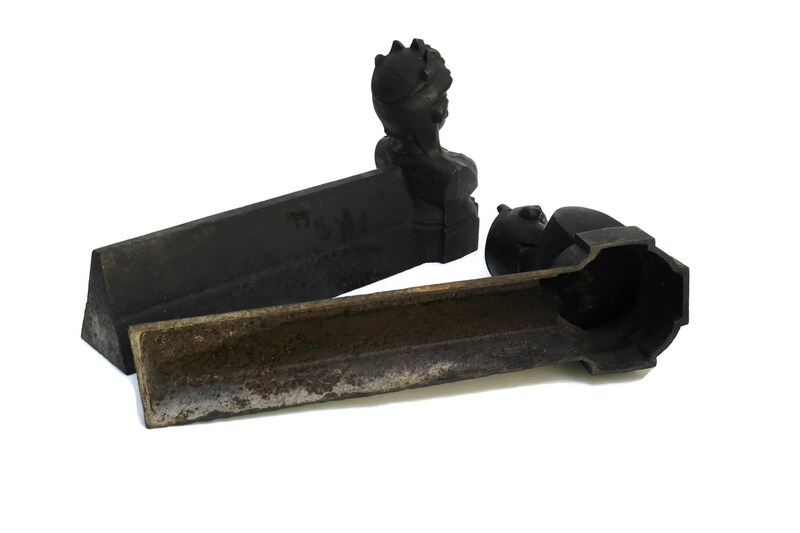 The antique andirons are in very good condition with age appropriate wear including patina to the metal.